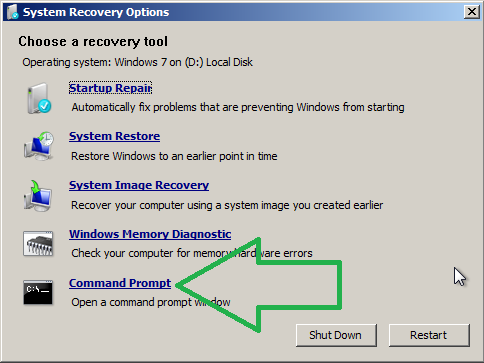 Have you ever wished you could get the “Windows Recovery Console” running for that one maintenance procedure or program you want to use, without having to remember where you’ve forgotten the CD? HTG explains how to boot WinPE from PXE. Update PXElinux to v5.01 or higher, if not already installed. Copy the WIM image and supporting files from the windows install CD. Use the booted WinPE to get a working “Windows recovery console”. We are going to do the above, because going the “regular” Windows Automated Installation Kit (WAIK) way forces you, at best, to install it on your machine and go through a not so straightforward process to mangle the WIM file and its support files into their WDS/RIS form. While Linux alternatives do exists, like the UDA project’s one (which is the PXE server I used before FOG came along), using this way you simply replace some files on the PXE server once (which you probably would have eventually anyhow) and copy the unaltered WIM file and support files directly from the Windows CD into the PXE server. The one thing to note, is that while it will look like you can start the windows install procedure this way, you actually can’t complete it, and making that possible is beyond the scope of this guide. As of the time of this writing, the version of Syslinux in the Ubuntu repository is still 4.05. I’m guessing this is because the Syslinux team decided to shake things up with the V5 branch and have changed the way their COM32 modules work (now based on ELF) and changed the “core” to require a library (ldlinux.c32) for anything beyond “pure boot”. This makes it very possible to encounter breakage, for anyone who’s used to the “old way”. Don’t fret, we will download the required files manually and make it so your FOG installation doesn’t loose a beat. We will be using version 5.01 as it is the latest stable release from the V5 branch at the time of this writing and it is the one on which the Syslinux team worked together with the wimboot team to make this specific procedure work. Note: Another reason that the latest version isn’t part of the Ubuntu repository yet (IMHO), is that at least on Citrix-Xen, the HVM guests can’t boot anything beyond the PXE menus. 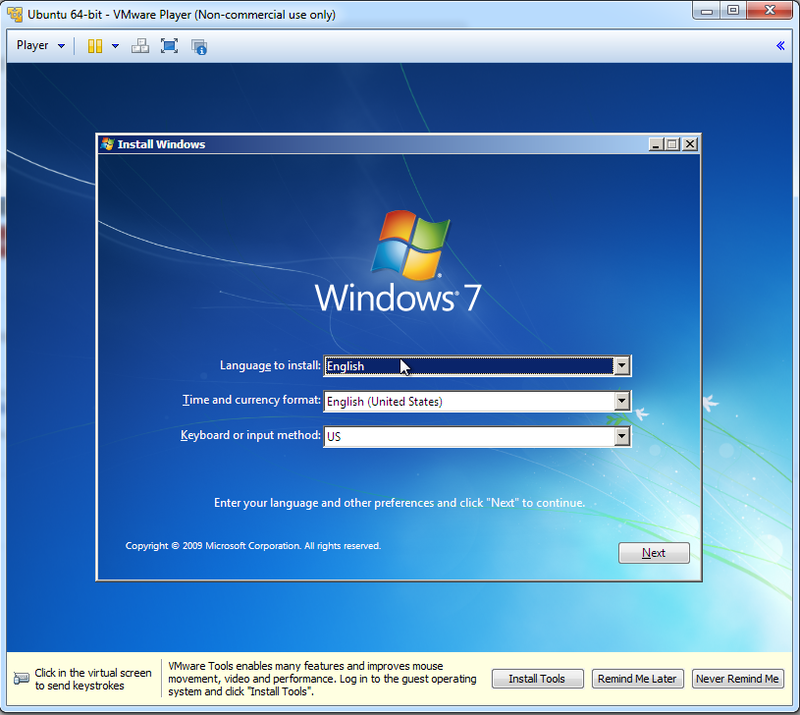 Other hypervisors like VMware, Hyper-V & VirtualBox, as well as physical machines are just fine with the new version. If the note above doesn’t affect you, proceed. Congratulations, your PXE server is now updated to v5.01 and everything that was already working (unless you are affected by the “note” from the start of this segment) should continue to do so. wimboot is a boot loader for Windows Imaging Format (.wim) files. It enables you to boot a Windows PE (WinPE) environment from a RAM disk, without wasting the memory used for the RAM disk image. That is all. The wimboot bootloader is ready to be called upon. Yes, it is that simple and you don’t need to keep the directory structure on the CD for this to work. Note: in order to have the Dell BIOS updates work, I’ve found it to be necessary to use a 32-bit version of Windows. Note: it may look like its hanging on the “wim” file, but it isn’t. It is actually transferring the 140MB of a file to the client over TFTP, which takes longer than the usually small files that are transferred this way. Here is the screenshot to prove that it did happen. The VM above, was run using VMware-player, had Ubuntu installed on its HD and was PXE booted into WinPE. 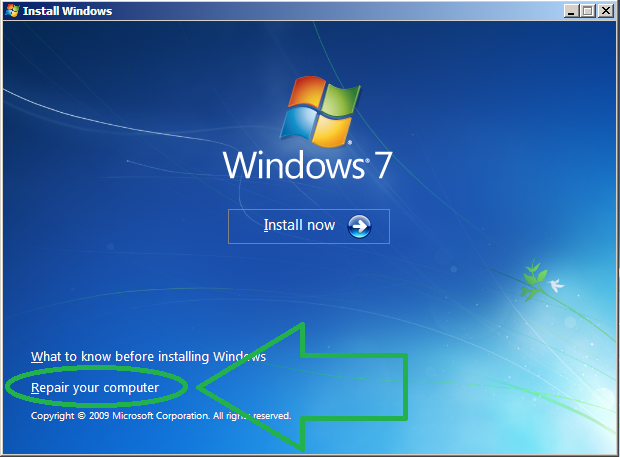 Again, as mentioned in the overview, while it looks like you can start the windows install procedure this way, you actually can’t complete it, and making that possible is beyond the scope of this guide. With that said, just to give one example of why this would be useful, we will use this environment to perform a Dell BIOS update. Get the update you need to perform from Dell’s website and put it on a Disk-On-Key. Put the Disk on key and PXE boot the client. 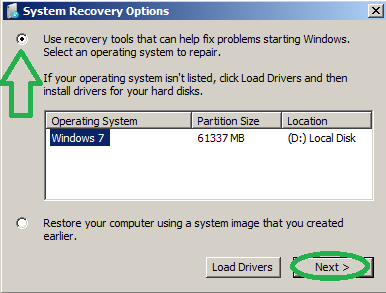 In order to reach the recovery console, in the main window as in the screenshot above, click “Next”. Click on “Repair your computer”. Choose “Use recovery tools” and click on “Next”.